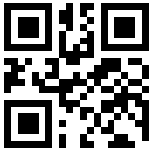 QR stands for QUICK RESPONSE code - its just a square bar code. It is completely free of any licensing. Above and below are what QR Codes look like. This image below can contain up to 47 characters. More recent versions can contain more characters. The QR Code is typically scanned using the camera in your mobile phone. A small piece of software called an APP then decodes the QR pattern into a web address, email address or just about any (small) chunk of text information you can think of. Apps for QR codes are usually free or a couple of pounds and can be obtained from the Android Store or the Apple App Store. To use a QR code simply load up the App, point the camera at the QR code and that's it! Your phone will either connect to the website automatically or will offer you the choice of a clickable web link or the option to decline. Generate your own QR Code now! Next choose the error correction. This is how much damage the graphic can survive and still function. The better the rate; the bigger and more complex the QR code produced. Finally choose the size you need for your print run or website. 1 small 10 big. WHen the sile has been generated; simply drag it on to your desktop or on a PC you can Right-Click and choose "save as"
Why and Where would you use a QR Code? Ideal for car sales, galleries, estate agencies, shops and restaurants that want to include value propositions and benefits but have no space on the product to do so. Imagine you are a business and you are engage your customers. You cannot be open 24 hours a day, but you DO have a website. Trouble is nobody when they are out and about wants to type in the full web address into their mobile or tablet, especially if the website is huge and complex and the address is long. However with a single click of an app, anyone with a smart-phone can scan your advert, shop window or billboard and be automatically directed to ANY page in your website. This could be related directly to the car, house, painting that carries the QR Code or it could be a special offer page that gives the visitor an incentive to buy (special offer etc). Product Support is much easier too. If your Blu-Ray Player, Hair Tongs or TV refuses to work correctly, simply scan the QR code and voila, you are on the Manufacturer's web page for that exact product. Want to register your product - same procedure applies. Its likely as the world moves to mobile computing (phones, tablets, cars and intelligent household devices) those little squares will become ubiquitous. QR Codes - whats that for? The picture below is a BRANDED QR Code linking to this website's Home Page. Its been tested and works, even though part of the code is obscured. Because of clever error correction, the QR code doesnt mind of spot or two of carefully placed spurious imagery. This means that with some thought we can surround the QR Code with sympathetic imagery or simply put your logo in the centre. The code just needs to "see" the 3 reference squares in the 3 corners to get a "fix" on the code block. The phone's software can then decode the rest of the information, so long as your branding isnt obscuring too much of the QR Code. 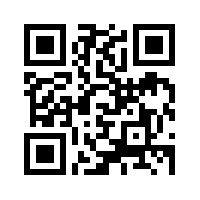 If you have a novel application for a QR code, email us and we will give you a good SEO link to your website. 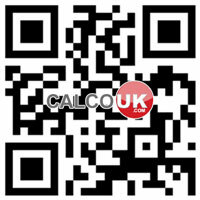 The Calco QR Code Generator is free to use and doesnt brand your QR code with adverts etc.